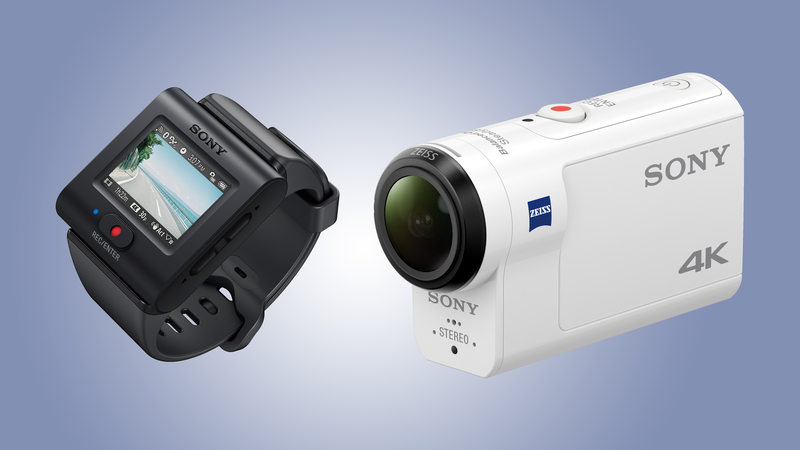 Action cameras are unlike any other kind of camera. They're designed to be attached to helmets, surfboards, cars and other objects, and they're small, tough and simple to operate, with a lens that captures the world in high-definition video and in a wide-angle fish-eye perspective. GoPro is the market leader with its iconic box-shaped Hero cameras, but action cams also come in a 'bullet' style, like the iON Air Pro. There's lots of choice now, and you shouldn't just buy on brand – think about what you want from an action camera and how you plan to use it. If you're helmet-mounting, then a bullet cam will probably be the best choice. For a chest mount a box design will be more stable. And when it comes to features, do you really need Wi-Fi, 4K, GPS or even a screen? These all bump up the price, and while they are invaluable in some situations, you can still get great footage without them. While it may appear to be a minor update from the Hero5 Black on the outside, a lot's changed on the inside. The Hero6 Black gets a new GP1 processing engine, allowing you to record super high-quality 4K footage at 60fps. 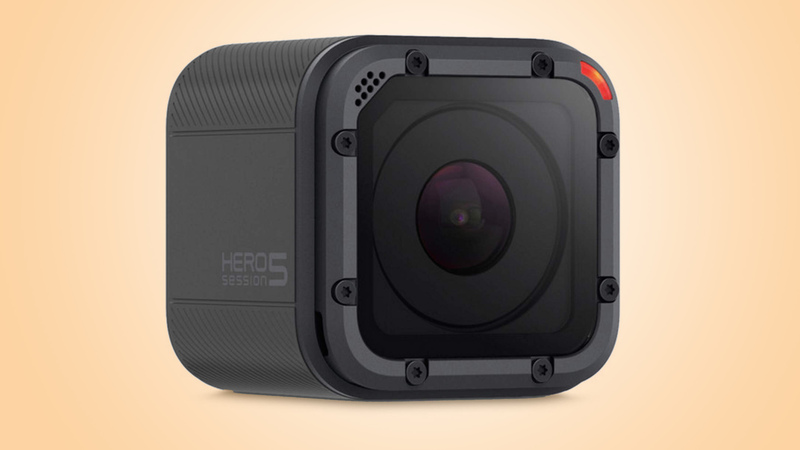 Other highlights include an improved image stabilization system, while the Hero6 Black offers a wider dynamic range and better low-light performance than the Hero5 Black. Waterproof down to 10m, the Hero6 Black has a useful 2-inch touchscreen, voice commands and an updated app with QuikStories that automatically transfers and edits your footage for you. If you want the best action camera, this is it. It may have been overshadowed by the new Hero6 Black, but the Hero5 Black still has a lot to offer. Shooting 4K footage up to 30fps, video footage is incredibly smooth, while the ability to shoot stills in raw format brings even more flexibility. 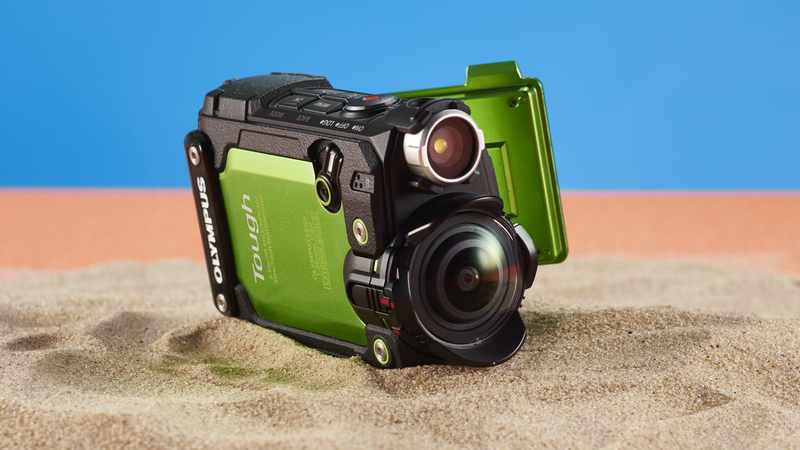 Waterproof down to 10m without the need for a protective case, it's also simple to use, while the addition of a rear touchscreen, voice control and GPS make it one of the most feature-packed cams currently available. The TG-Tracker's futuristic design is hard to miss with an ultra wide 204 degree lens fronting a 1/2.3-inch CMOS sensor. Headline video resolutions include 4k at 30fps, 1080p at 60fps and an impressive 240fps at 720p for slow motion capture. 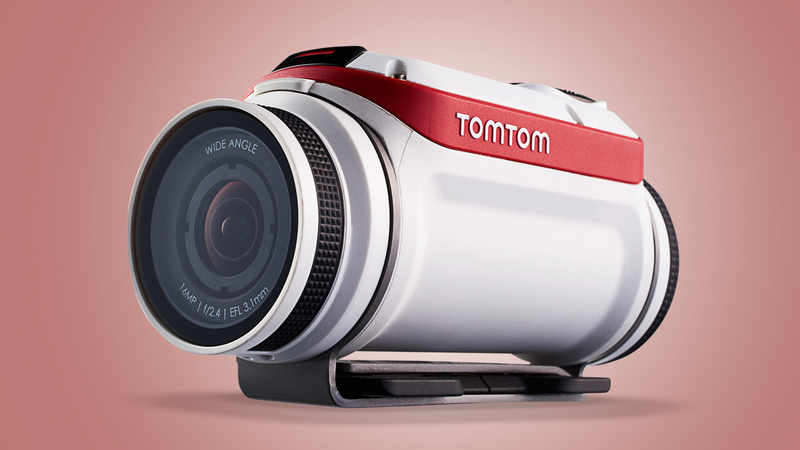 This is an action camera ready for anything and even features a small LED video light built in. Sensors are the big news for the Tracker with GPS, compass, acceleration sensors plus a barometer and thermometer all capturing data from inside the compact case. The intel from these can all be displayed when viewing back the footage or in the video edit so you can show just how extreme you are. What's more, it's waterproof to 30m, features built in stabilization and can withstand temperatures down to -10C. How often do you take an action cam underwater? Most people never will, so in some regard the YI 4K ActionCam is about cutting corners, but what it leaves out – GPS, voice control, auto-upload, and raw shooting – are hardly core features. In fact, it gives as much as it takes, with a large and responsive touchscreen, a big battery and a fast file transfers. It may lack a few niceties – and we would include lens distortion correction and image stabilisation in that list – but the YI 4K Action Cam remains a great value addition to any adventurer's kit bag. All action cameras are now promising 4K at 30fps, but Sony’s effort is about a lot more than just resolution and frame rate. The diminutive FDR-X3000R's biggest claim is Balanced Optical SteadyShot (B.O.SS) image stabilization, which works across all resolutions and recording modes. It also includes an underwater housing – a rarity in the action camera market – and comes with a wearable, mountable live view remote, a smartwatch-sized contraption that allows the FDR-X3000R to be operated from afar, and its images previewed in real time. The original Garmin Virb introduced motion sensors and GPS tracking to action cameras, adding an extra element to capturing the action, like the TomTom Bandit. 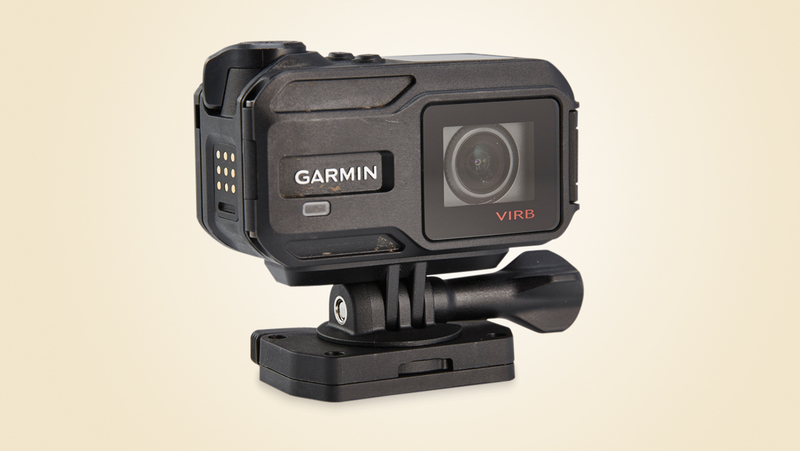 Building on the solid foundation of the original Virb, Garmin has revisited the design, losing the bullet shape and remodeling the camera around the popular 'box' style. This new shape makes chest mounting far easier and, as with the original, the build quality is excellent. The XE offers increased video quality, it's waterproof without an additional case, features Wi-Fi along with compatible app and software, this all makes the Virb XE one of the best action cameras at present. The Hero5 Session follows on from the Hero4 Session, stripping back the action camera concept to its basics, but sharing many of the same specs as the Hero5 Black. 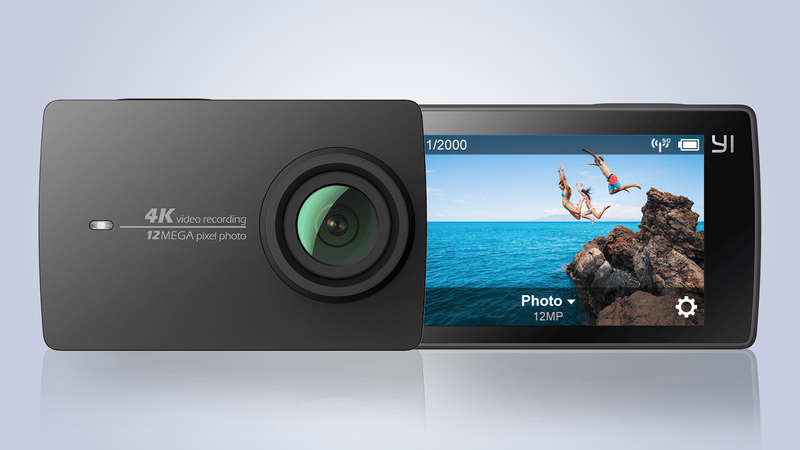 That includes 4K video capture up to 30fps, image stabilisation, voice control and is waterproof down to 10m. The large Record button on the top starts and stops recording so there's no worrying about different modes and options – that's all handled by the app (though it does have a simple menu system if you wish). Back to basics, but still captures the quality of video that you'd expect from GoPro. The SJCAM SJ7 delivers some good-looking footage, especially when shooting in 4K. 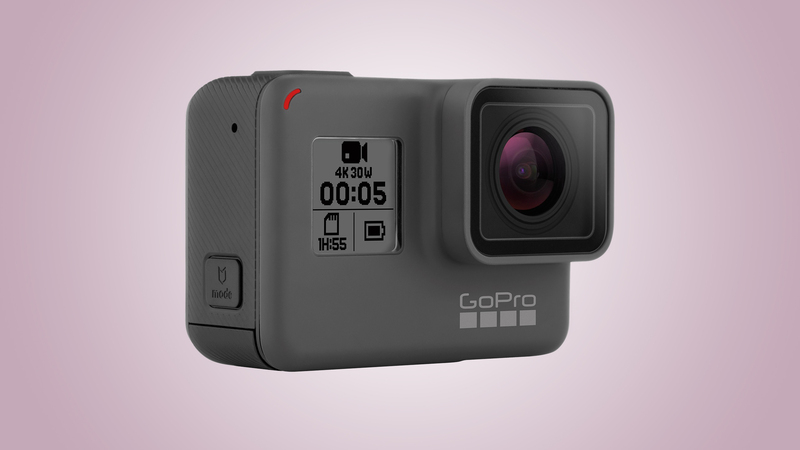 However, this budget GoPro Hero5 rival doesn't boast the sort of professional features offered by the biggest name in the action camera game, such as voice activation, GPS and the ability to make quick and easy video clips via a smartphone app. If you want a action camera that delivers strong footage at a fraction of the price though, then the SJCAM SJ7 Star is worth a look.